In July this year, American Airlines resumed flights to New Zealand from their hub in Los Angeles. 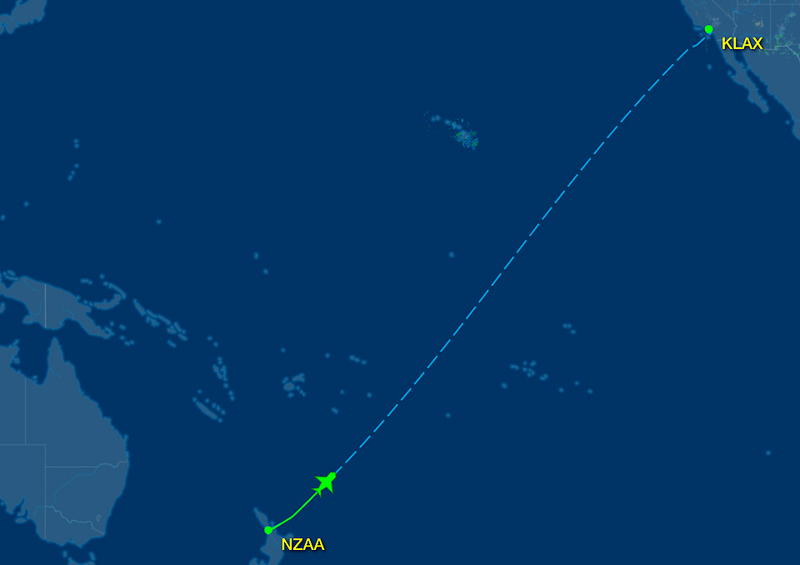 Banking on increased in-bound travel to New Zealand from the United States, American Airlines in partnership with Qantas put it’s Boeing 787 Dreamliner on the route. 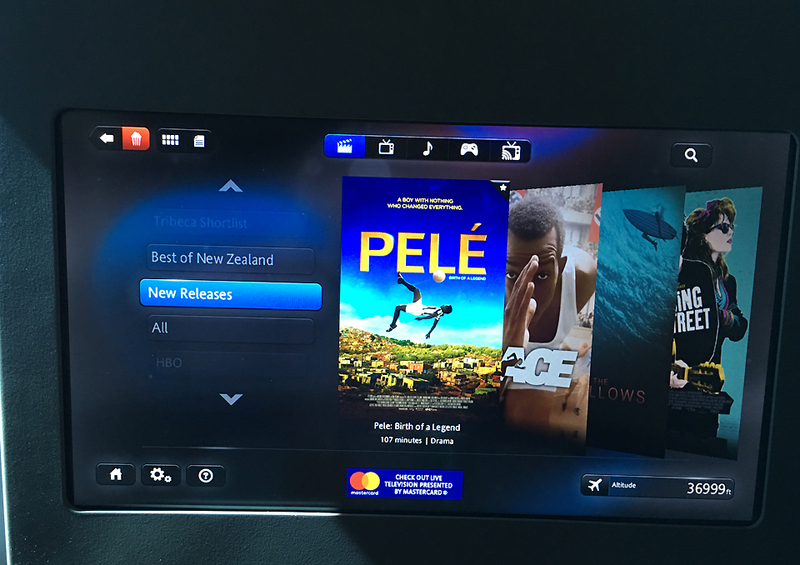 American Airline’s Business Class product brings tough competition to Air New Zealand, the only other direct airline operating on the route. 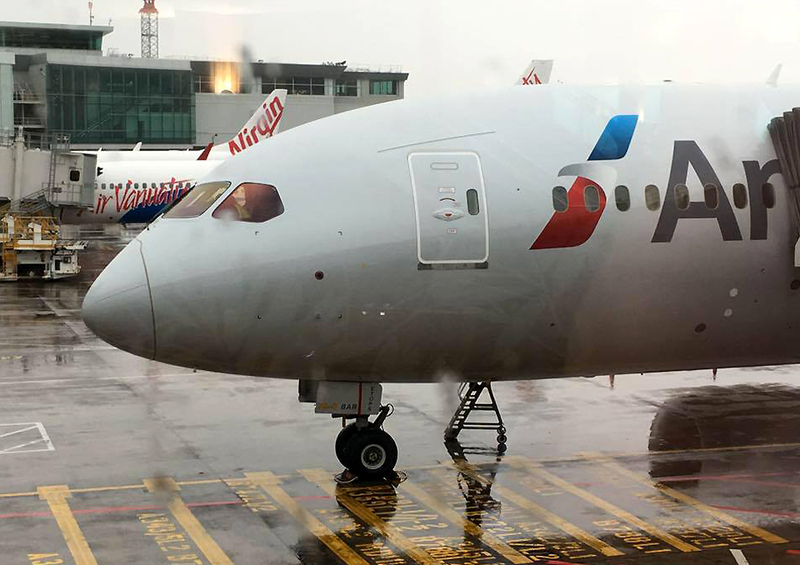 We fly with American Airlines from Auckland to Los Angles and check out how it stacks up. American Airlines departure is at 1530 hours from Auckland International Airport. 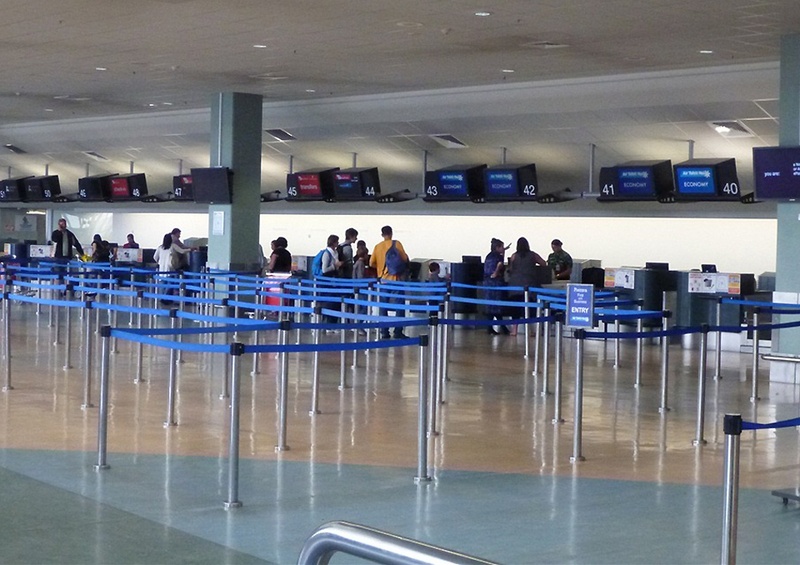 American Airlines offers online check-in and it saves valuable time through the check-in process. 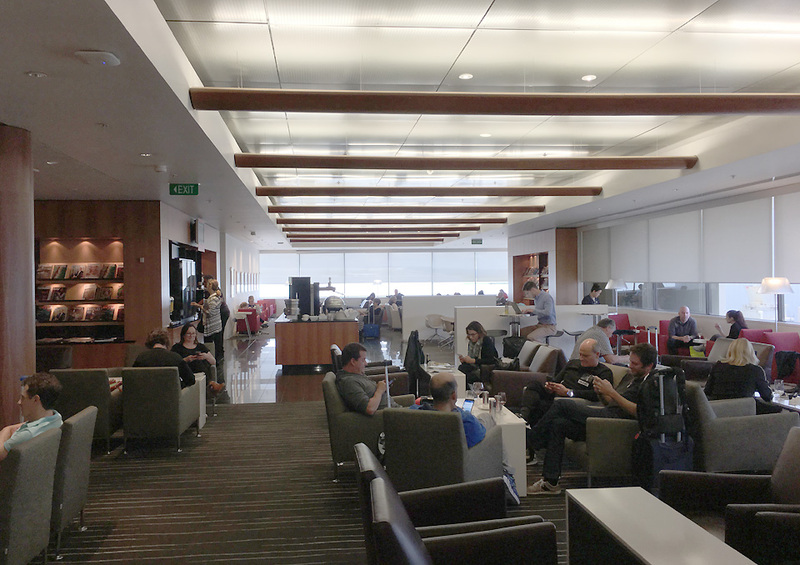 American Airlines confirmed Business Class passengers can use the Qantas Business class lounge at Auckland Airport. 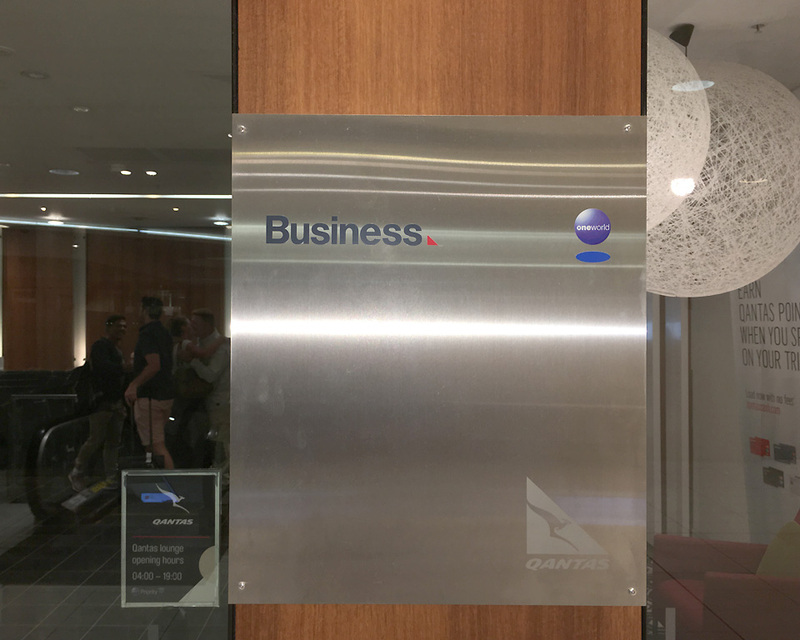 Qantas International Business lounge is located airside after immigration and customs. 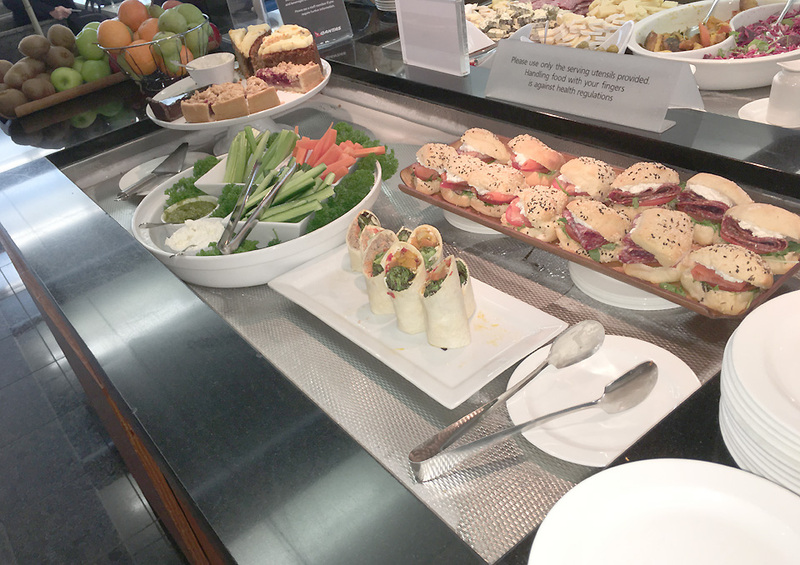 The lounge offers comfortable seating, full business centre facilities and premium food and beverage. Boarding was at gate 8 with priority boarding for AA Advantage Gold members and Business Class members. Boarding was quick and swift with a friendly reception at the door. I was directed to my seat with my jacket was taken to be hung in the closet. Was’t offered a welcome drink though till before the flight pushed back. Flight departed on time at 1530 hours . A calm flight over the South Pacific Ocean with an on time arrival at 0620 hours the following day. 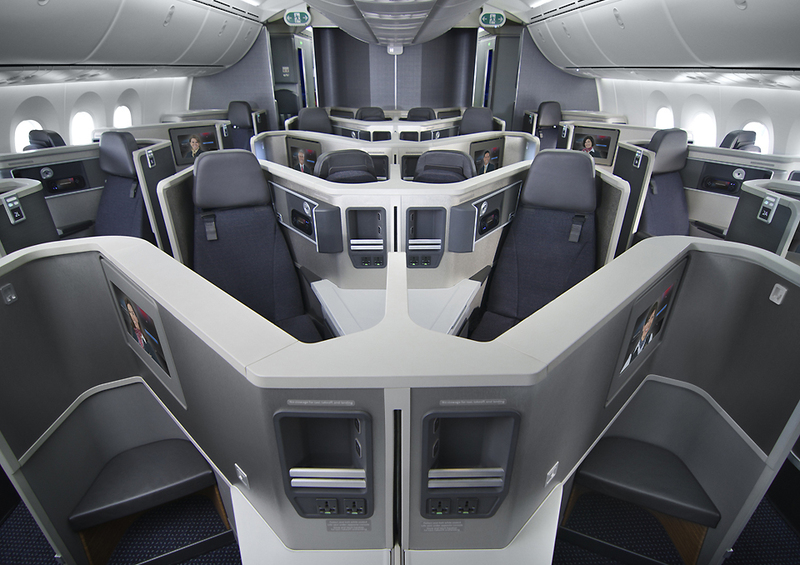 Business Class cabin on American Airlines 787 comprises of 28 lie flat seats on a 1-2-1 reverse herringbone configuration across 7 rows. 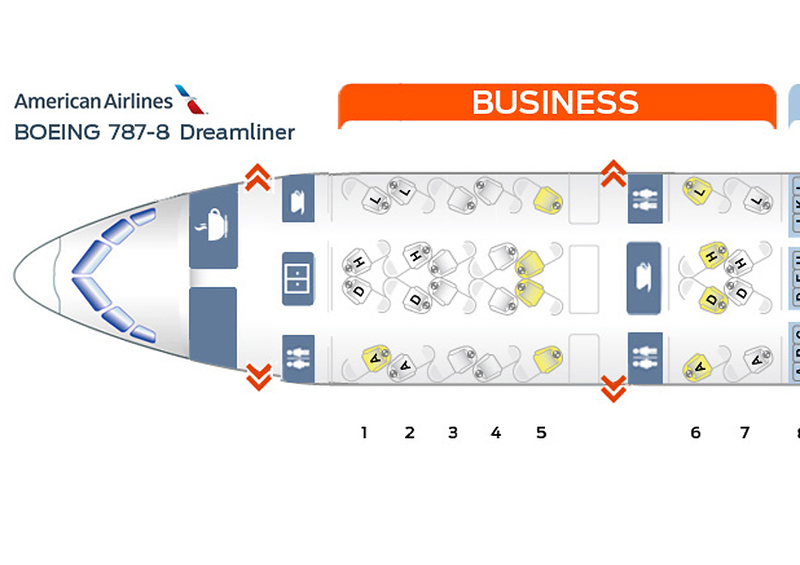 Rows 1 – 6 are Business Class seats with seat 1A, rows 5 and 6 located close to the galleys. Half of the seats in the 787 are forward facing and half of them are rear facing. If you are travelling with a companion, it’s best to avoid the centre rear facing seats as partitions on these seats are permanently raised. Where as the ones on the forward facing centre seats they are permanently lowered. My seat was 5A. The sign was indicated with a green light which is a DND sign. 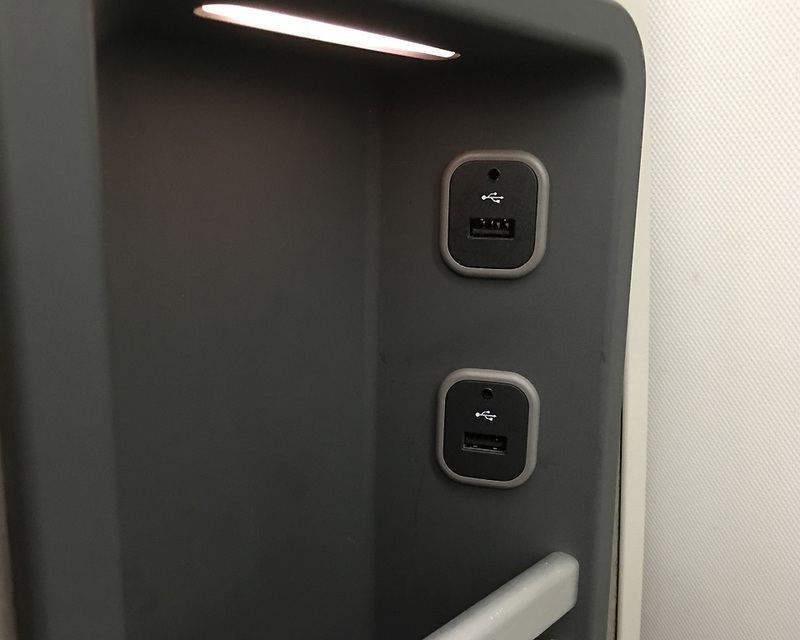 A cool inclusion by American Airlines to offer privacy. If you require privacy, simply press the DND button on the remote and the light turns to red – indicating privacy is requested. 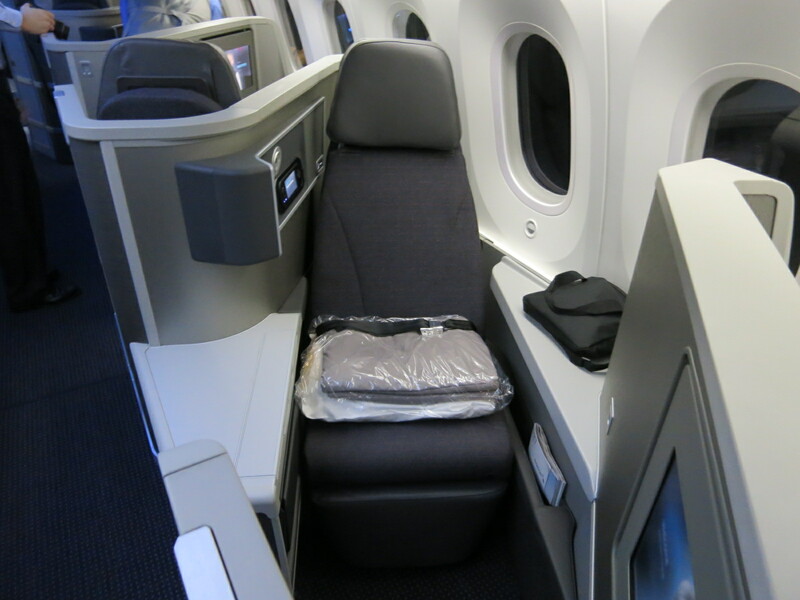 The American Airlines Business Class seat is revolutionary and very comfortable. The seat width is 24 inch and it turns into a full flat bed of 77 inch. 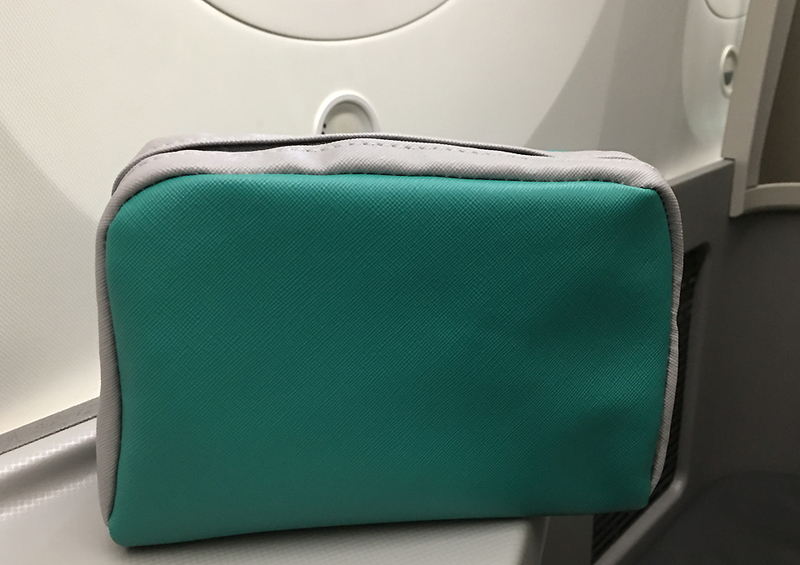 The ottoman is within reach from the seat in the upright position and provides for a good option to straighten out those legs after long ques at the airport. …and the other one for the entertainment. 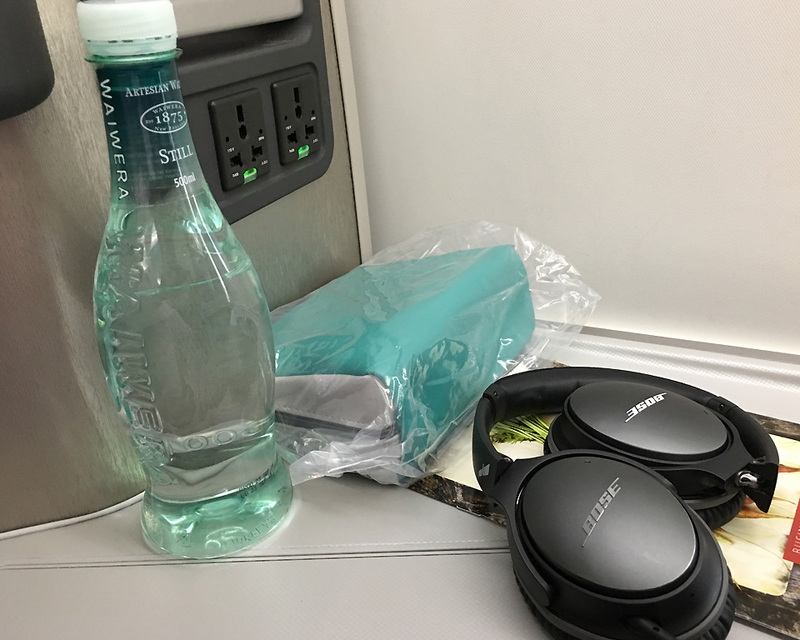 Noise cancellation headphones are state of the art from Bose and there is a bottle of still mineral water. There are pyjamas on offer if you’re in the mood to get comfortable and the friendly staff ensures that you get the right size to slip into. 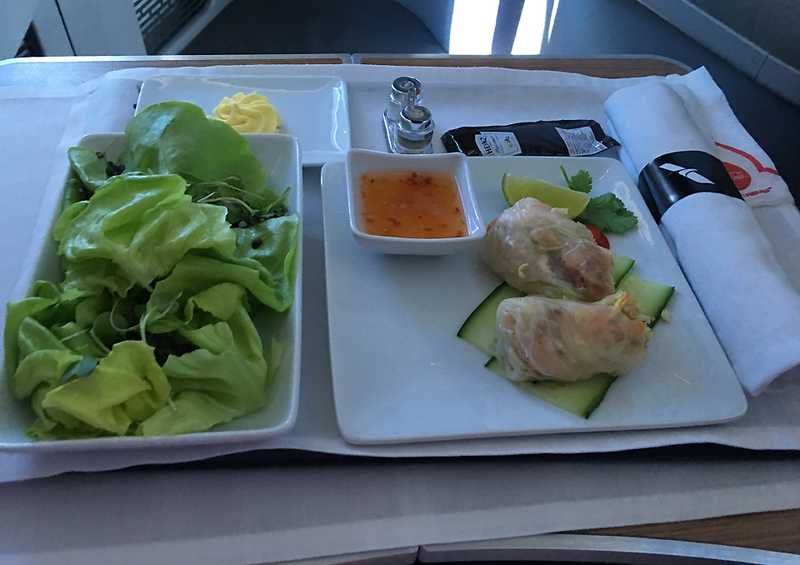 The in-flight menu was served soon after take off and there was a great seasonal selection of meals. 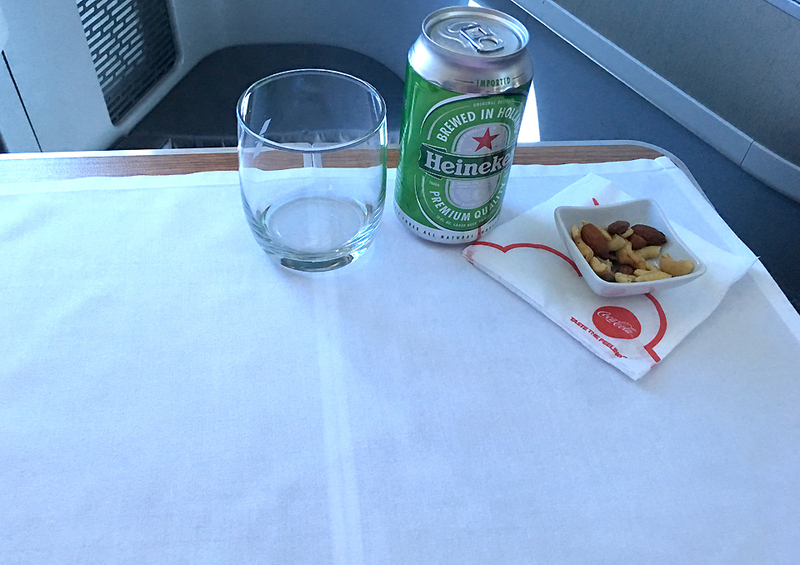 The chilled Heineken with warm nuts is a great way to start off. For starters I chose the chilled Vietnamese rolls. They came perfectly plated with sweet Thai chilli sauce and a lime wedge. The side salad was fresh and crisp with a choice of dressings. 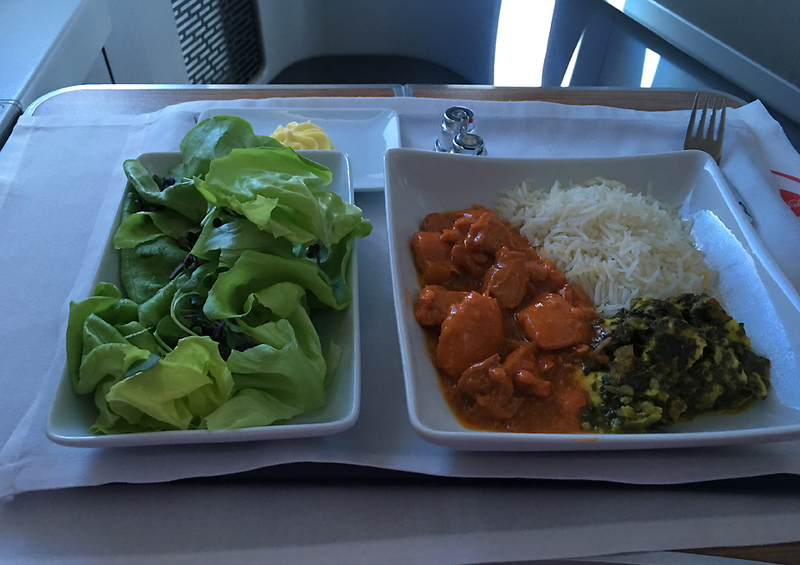 For the main, the creamy chicken tikka masala and spinach concoction was a great treat. It was accompanied with rice which was again hot and fluffy and fresh. For dessert there was French vanilla ice cream with a lavish drizzle of hot chocolate fudge sauce topped with roasted hazelnuts. 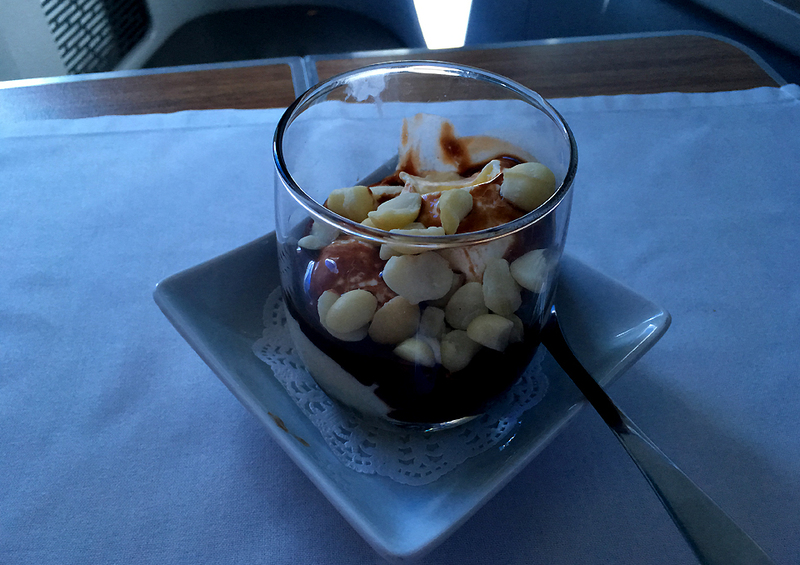 This is apparently a signature American Airlines dessert and it was so divine that I couldn’t resist a second helping. 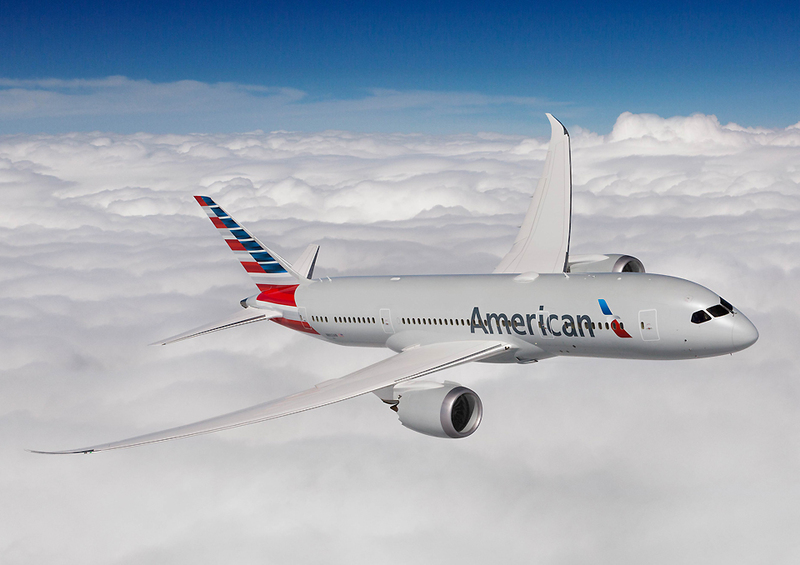 American Airlines are top winners of the 2016 Global Traveller Wine of the Wings survey and offers a great selection of wines on board Business Class. The list consists of a good selection of global wine labels as well as New Zealand and Australian award winning wines. The service on-board was sharp but relaxed. The flight purser was courteous explaining the finer nuances of the flight and service on-board including detailed instructions of how to log-on to WiFi. American Airlines offers high speed WiFi on-board and costs $19 for the length of the flight. 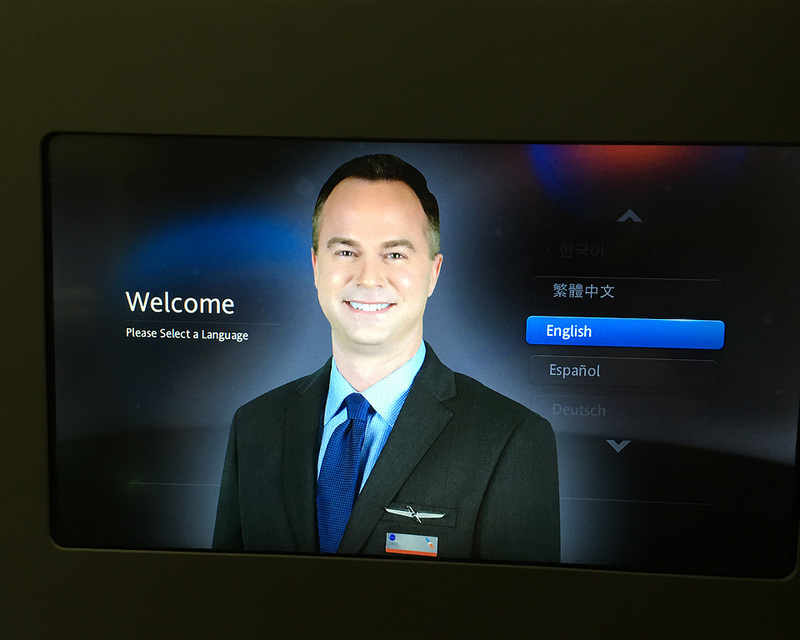 The American Airlines IFE is packed with entertainment options including live television, games, music and movies. It also has a dedicated channel that showcases the best of New Zealand. 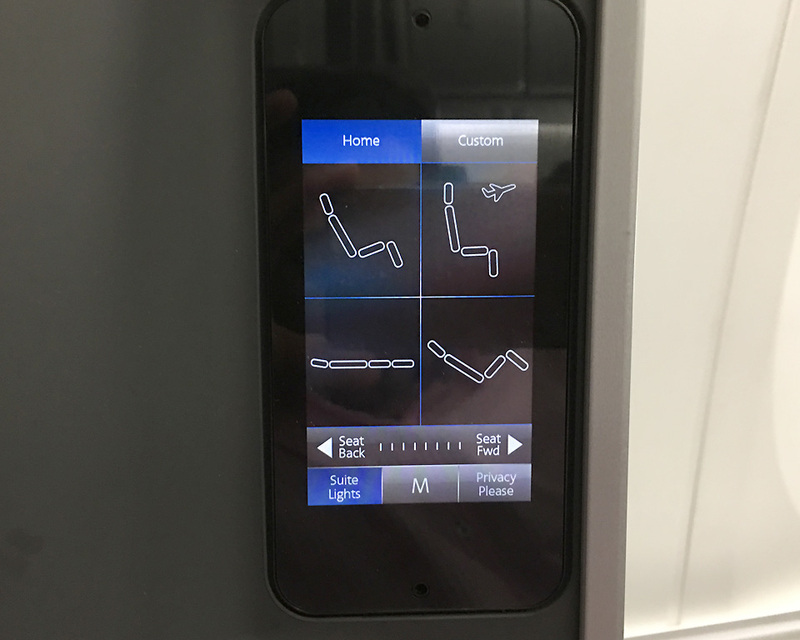 There’s touch screen and also a handy remote that you can use to operate. There’s ample of charging power on the seat to keep the devices charged up! 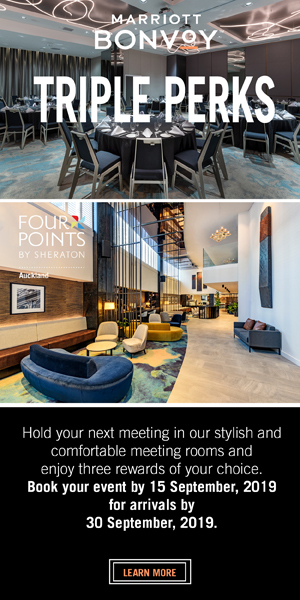 Two full size international power points if you’re looking to work your way to the destination. 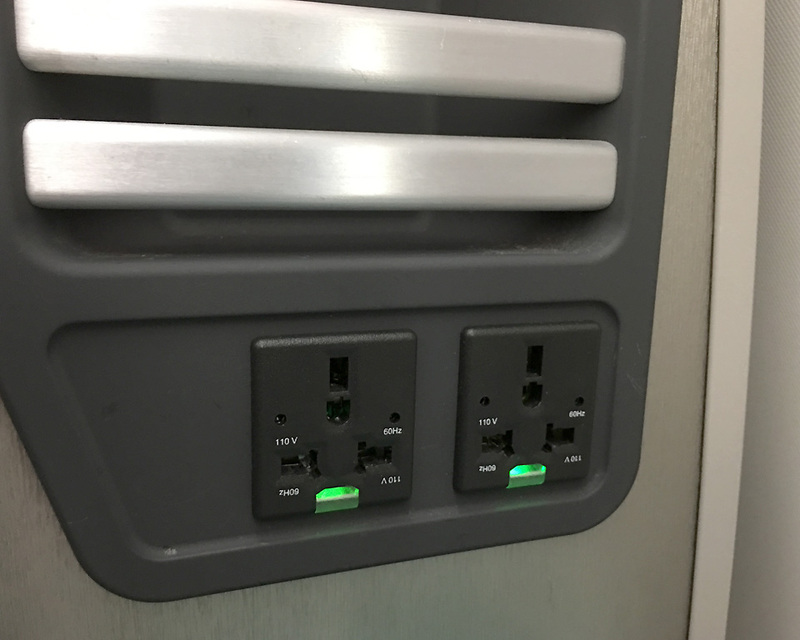 …Including two USB chargers next to a built in rack to put hold the hand held devices as they charge. 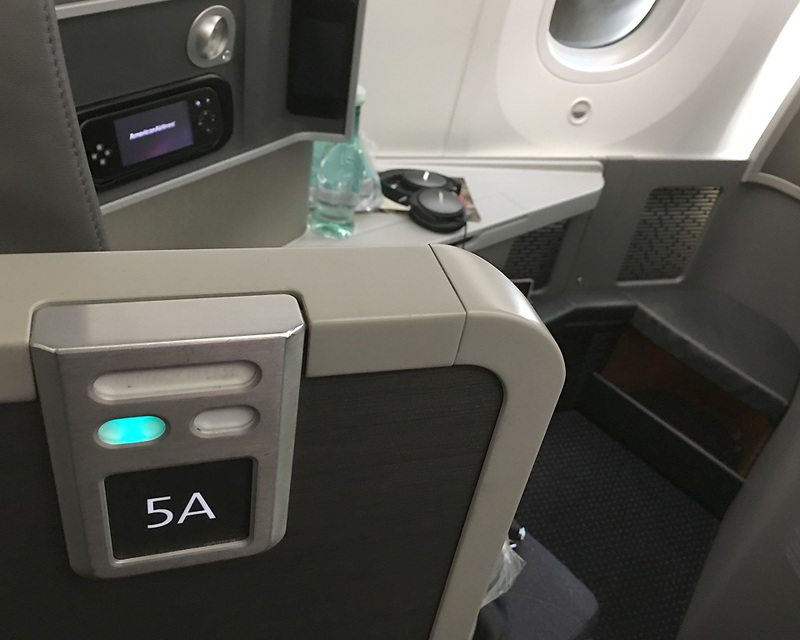 The Business Class product on American Airlines 787 is unique and it brings substantial competing power on a route that was owned by Air New Zealand for a long time. 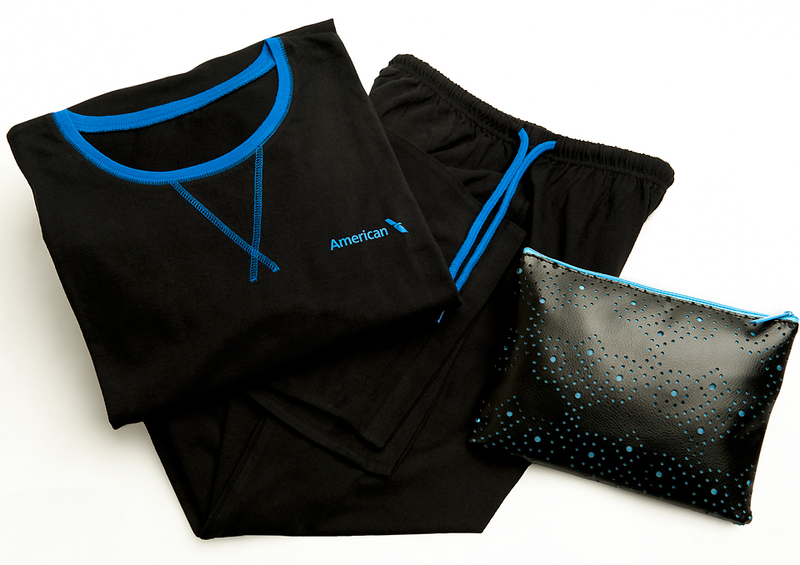 American Airlines Business Class doesn’t come with any bells and whistles. It’s excellent product designed with passenger comfort in mind coupled with good, consistent service. Flying the 787 means that you arrive relaxed and rested early morning to start fresh. 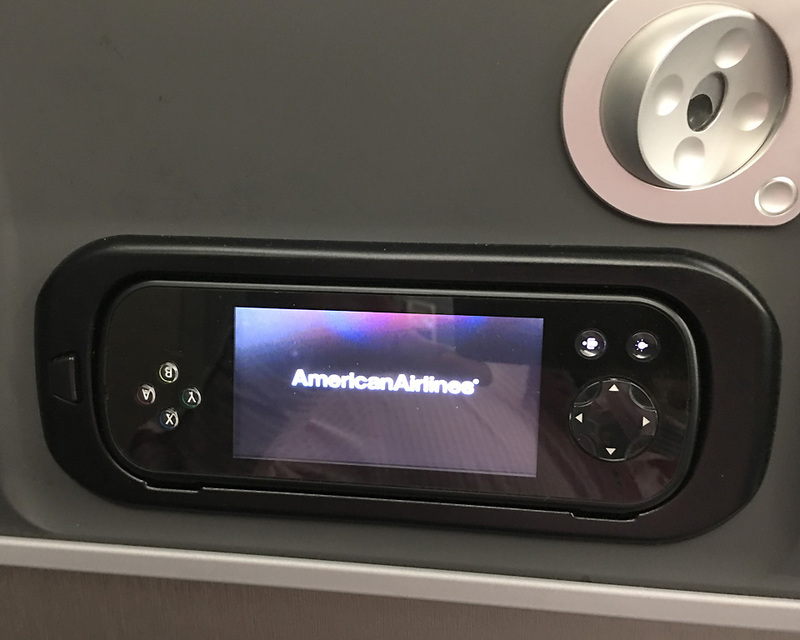 New Zealand business travellers have the opportunity to experience a whole new product to the United States on-board American Airlines. 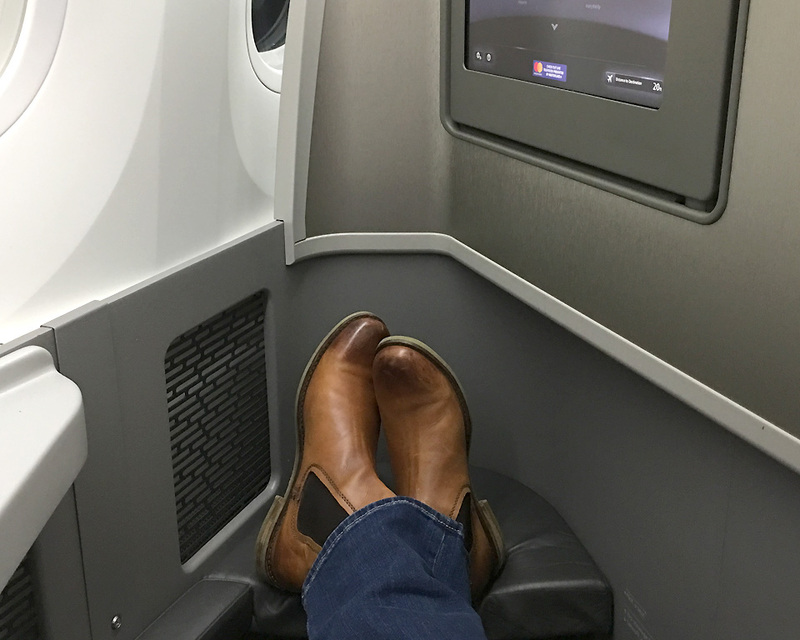 And with the best deals on airfares ever, it’s never been a better time to fly Business Class – American style. Harmeet Sehgal travelled as a guest of American Airlines.